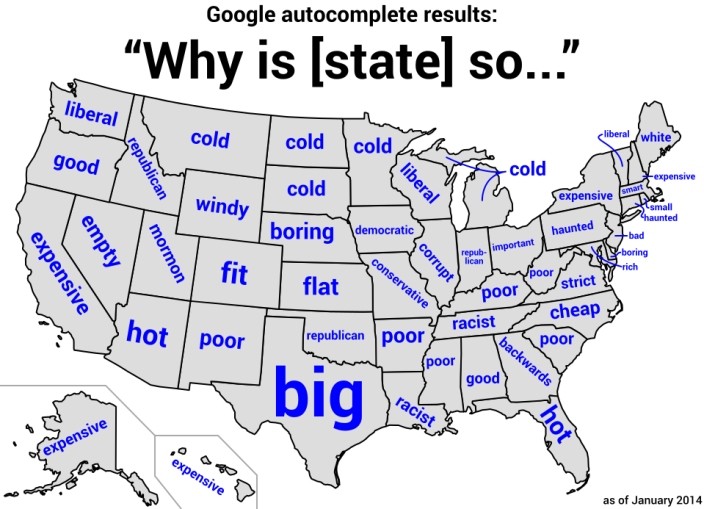 Inspired by this map of the US showing the Google autocomplete results for the query “Why is [state] so”, I decided to try it with "Why is Singapore so"
Then I took it further by repeating the query 26 times with a different letter of the alphabet from a to z. Out of the 26 letters, j, q and x yielded no results. As for the rest, the results were mostly what you would expect although they may seem a bit contradictory at times. I mean, can Singapore be "so awesome" and yet "so boring"? "So hot" and yet "so cold"? "So nice" and yet "so racist"? But probably the most out-of-left-field result is at the end with the letter z. The trick is to shop at Zara only when there's a sale.